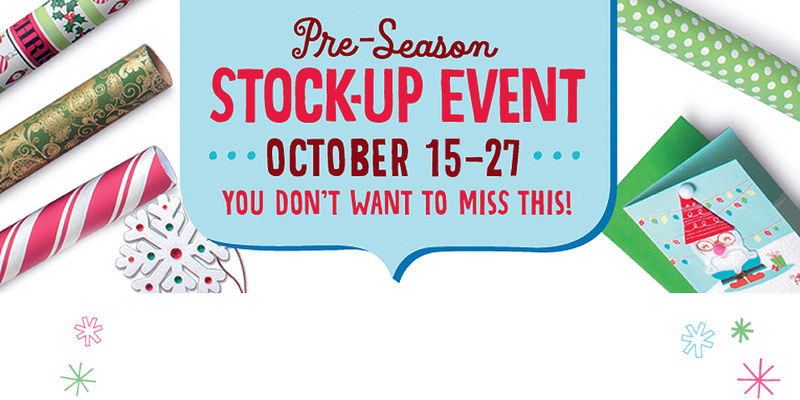 Now is the time to stock up and save on everything you need for the Holidays during the Pre-Season Stock-up event October 15–27. 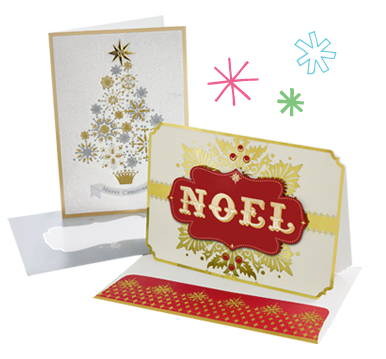 Stock up now on cards, stationery, journals, gift wrap and much more. 1 Hallmark card (regularly a 3 card purchase). With the purchase of any 2 regular priced boxed cards. Get your 3rd box free. (lowest priced box is free). your Hallmark Gold Crown store. * No refunds, exchange only. 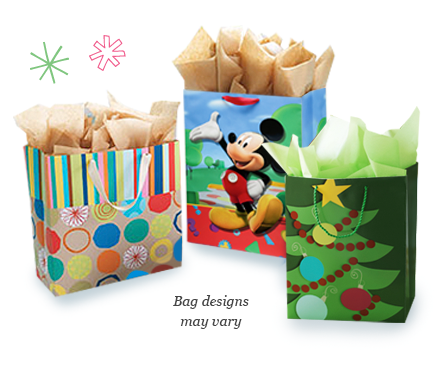 Must purchase gift bags and greeting cards in a single transaction. Limit of 3 gift bags for $1 each wth 1 card purchase. Offer valid 10/19/13-10/20/13 while supplies last at participating Hallmark Gold Crown stores in Canada only, excluding Quebec. Can be combined with 5 cards for $15 offer. Offer excludes gift bag bundles and packaged gift bags sets. Retailer reserves the right to limit quantities and exclude seasonal bags. Not valid on past purchases. No cash value. Tax not included. Returns are subject to adjustment. 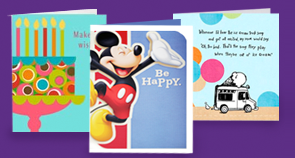 *** Must purchase 2 Hallmark Boxed Cards in the same transaction to receive the 3rd box FREE. Offer valid 10/15/13-11/07/13 while supplies last at participating Hallmark Gold Crown stores in Canada only, excluding Quebec. Valid on the purchase of Hallmark Christmas, and Hanukkah cards. Lowest priced box will be free (excludes UNICEF cards). Not valid on past purchases. No cash value. Tax not included. Retailer reserves the right to limit quantities. Offer subject to change without notice. Free box must accompany any returns.